2019 is around the corner with the new year bells having almost started to ring in. With every new year, new trends appear in different walks of our life, especially technology, where evolution always seems to be on the go. With most of the business operations shifting gear to online mode, web design has become an essential part of the business. Since the websites have slowly become the face value of the businesses’ online operations, there have been emerging trends to let them have the edge in the market. User Experience (UX) is the key to a large customer base. With the abundance of latest technology around, the modern day user has raised the bar of their expectations. Now wooing them with a generic UX is not the case anymore. That is why businesses hire UX experts to understand and cater to what their end user requires and expects out of their products or services. With Artificial Intelligence into the picture, User Experience has redefined itself with personalization. Now, using Artificial Intelligence, the key is to make every user a privileged customer by offering them personalized UX. Emerging Artificial Intelligence has made a Personalized UX a key trend of 2019, which shall help the businesses in customer relationship management and retention of their active client base. As they rightly say Content is the King, with a more technology-aware modern day user, the UX is largely driven by the content. 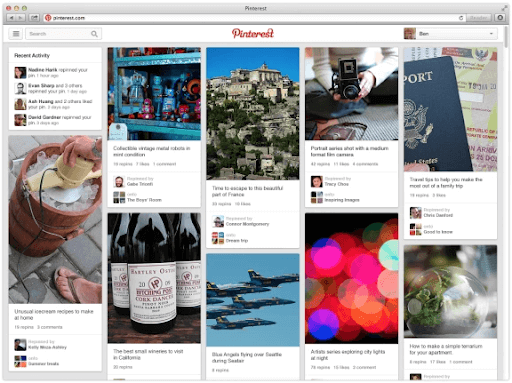 Gone are the days when UX and content worked differently. To provide the user with the right kind of desired experience, the influx of Content and UX is very important. This has led to the content centered UX, where a UX has more to do with what content is the website catering to the end user. With more complex requirements, websites are much more than just the visual appeal or operations and have emerged largely as influencers which in a way or other affect the lives of the end user. Content when teamed up the UX would be able to bring in the right momentum required for the web design. Thereby, making this powerful collaboration an emerging web design trend for 2019. Minimalistic, clean and edgy websites are largely preferred by the end users these days, due to the ability to focus on the most important thing, rather than getting distracted in insignificant clutter. 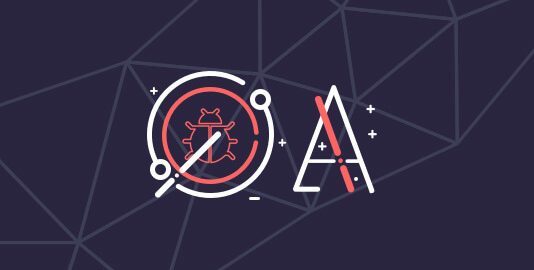 With a lot of information already been present everywhere around, the modern day user seeks a clean and to the point information, instead of beating around the bush every time. While the websites which are stacked with a lot of elements, not just distract the user from reaching the desired information but has also been successful in putting them off. 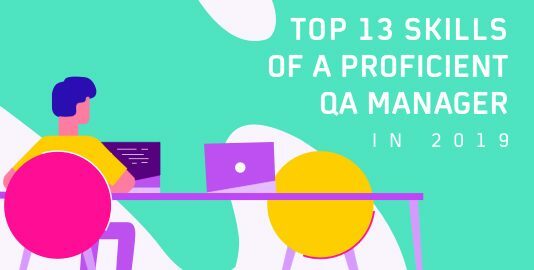 Because looking for what they exactly want would be a task in a website packed with elements, and this would be the main reason in putting them off. On the other hand, a minimal, clean and edgy website with bold typography, helps the user to reach out to the required information very quickly with putting in deliberate efforts. In this way using the negative space to the behest of the website’s design aesthetics with minimalism. Here’s a clean and edgy minimalist page from the LambdaTest website, which gives clear information without creating a chaos. Augmented Reality, commonly known as AR, is the modification of real-world environment with augmenting of real-world objects using computer-generated perpetual information. This involves modifying multiple sensory modes such as visual, auditory, haptic etc. AR helps the user to visualize and feel the creativity of imagination seamlessly. This would enhance the end users’ experience by many folds, enabling them with the power of imagination. This would be helpful for the businesses which specifically involves imagination and creativity, by enabling them in manifesting their designs and imagination, to the end user seamlessly through their website. Augmented Reality (AR) is the technology to bridge the gap between creativity and reality. Graphics Interchange Format gives an interactive User Interface (UI) to the website, making it lot more attractive for the end user. With the end user using GIFs and emojis in their day to day life, making them a part of the website to explain small step procedures is a good idea for web design. 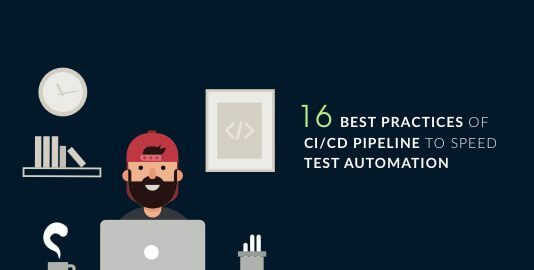 In a similar case, LambdaTest has used the following GIF in their homepage to illustrate a small multiple step procedure of how LambdaTest performs real-time testing of a given URL. Due to its ability to engage the user and build up interaction, GIF is one of the coolest trends of Web design in 2019. CSS3 has brought in some cool animations such as rise and decline using rotation, time delay, iterations, motion in given direction etc. These CSS3 animations could make your website look way cooler giving it a futuristic tech-savvy and sci-fi feel. Such visuals not only attract the user but also gives an edgy modern look to the website. With a more tech-savvy end user, designing a website with such a modern visual appeal makes the website class apart. If you are looking forward to making a website with a futuristic look to engage your end users, then CSS3 animations is a trend in 2019 you must look up to. Sticky Elements remain on the page as it is even upon scrolling. This enables the user to see the vital information all the time within the reach even upon scrolling through different parts of the page. This helps the user especially when the Navigation bar is a sticky element, helping the user to Navigate at any point of time without scrolling back to the top of the page. Websites such as LambdaTest already use Sticky Elements for their navigation bar keeping the options at the end user’s proximity. Undoubtedly, Sticky elements will enable the end user with a seamless and better User Experience bringing options at ease. Chatbots has enabled the user to get an instant assistance from the team, enhancing the User Experience making it seamless. With chatbots in your website, your end user can instantly connect with your team. Chatbots have been very useful in providing support to existing clients at the same time onboarding new clients and dealing with the queries effectively. Websites like Product Hunt and LambdaTest have been using chatbots to assist their customers over live chat enhancing the end user’s experience by many folds. This customer amazement and user friendliness have made chatbots an indispensable part of web designs, specially for SaaS companies. A Progress spectrum shows the progress in the procedure. This helps the user to understand how much of the procedure is yet to be done, giving them an estimate of the required time to complete the process. Often, used in the e-commerce websites where a multi-step process has to be followed, progress spectrum, guides the user and lets them know where how far they have reached in the process. It also gives the user a visual status of the procedure they are following, enhancing the end user’s experience by giving clarity on the progression. For a website in which the end user is entitled to follow a multi-step procedure, progress spectrum is a must-keep element. Gone are the days when the Symmetrical layout was considered a highly followed trend in web design. 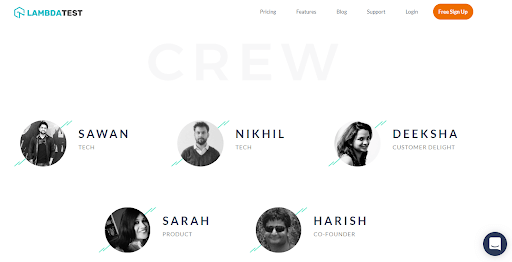 Asymmetrical Layout or a Broken grid, is a web design trend which is a must follow in 2019. While the grid brings in a more clear and edgy look, asymmetrical layout or broken grid successfully attracts the user and gets their attention. Due to a higher engagement by standing out, an asymmetrical layout is a definitely to be followed web design trend in 2019, making your website way cool. With users being busy having very less time to spend browsing the website, a concise single page design is an effective way to say it all. The biggest advantage of a single page design is that it is quick to load, enhancing the user experience by many folds. At the same time, its brevity helps in getting the desired attention from the user, making it an effective and impactful web design featuring in the top trends to be followed in 2019. Users love animations! Illustrating via micro animations, not only makes your website look cool but also makes it very user friendly, giving it an edge above the monotonous websites. This visual treat would help the users to understand the content easily and retain it for a longer time in their memory. Thereby, helping the users to make a brand image of your website in their mind. At the same time, it helps the user by assisting them, enhancing the overall user experience. 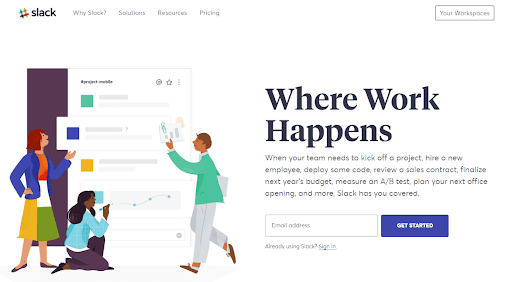 Micro animations, instead of using lengthy and stringent texts is one of the top trends of an efficient web design in 2019. Using card layout to describe multiple elements on a page is an efficient way to depict content on a website. It gives the user a wide overview of the elements along with the option to go and expand each one of them to learn more about the elements. Card layout is an effective way to concisely give a wider perspective of the information at one page, keeping the entire information on the user’s’ fingertips. Thereby making it convenient for the user to browse a lot of information in lesser time. LambdaTest uses Card Layout to let their users know the fleet of options for integrations that LambdaTest offers to them. This user friendliness makes Card layout a top trend of web design which should be followed in 2019. Drop shadows and depth to the different elements on a webpage, help the user to instantly focus on it. 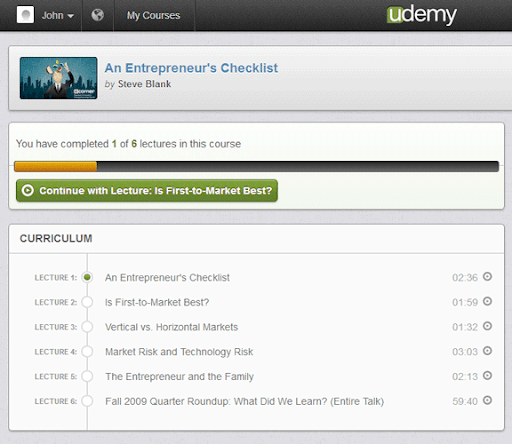 This has been successful in seeking users’ attention by laying emphasis on the required element or block. It also provides an edge to the design making it more visually appealing for the end user. 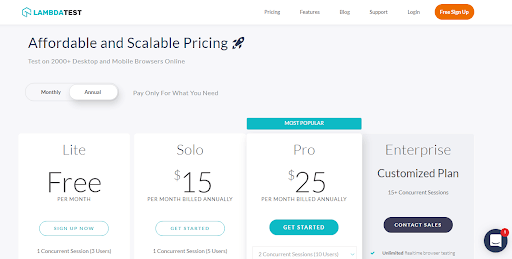 Here’s how LambdaTest uses Drop Shadows and depth for their pricing page to highlight their most popular plan. 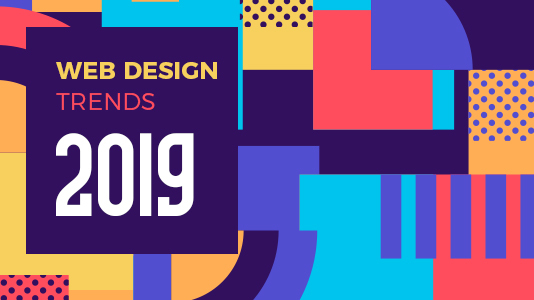 Due to this emphasis and visual appeal, giving the user an enhanced User interface, drop shadow and depth has been one of the top 19 trends of web design in 2019. Vibrant saturated color schemes effortlessly are capable of seeking user’s attention, with a high-end visual appeal. This not only enhances the aesthetics and the visual appeal of the website but also improves the User Interface, letting a better rate of user interaction. A website in bright hues of vibrant saturated colors would be able to attract more users. Having custom illustrations in your website helps in building up a brand identity which is familiar to the user. By getting custom illustrations, you can let your website stand out among the other competitors in the market with its unique brand identity. This is how slack uses its custom illustration on their website to make their unique brand identity. If you are looking for a unique brand identity for your website, then ditch those generic stock images and use custom illustrations. Use 2D illustrations in your website to convey your content in a much effective manner by creating a visual impact on the end user. A 2D illustration is not only a visual treat to your end user but also helps them to retain the information for a longer time, by making it easily understandable. 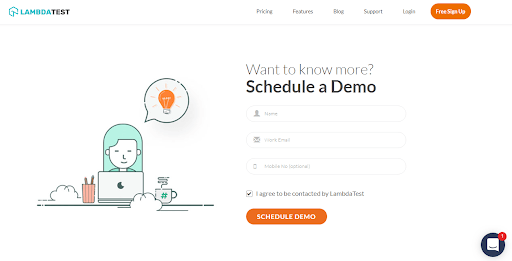 LambdaTest uses 2D illustrations in different sections of its website to create a better impact on the end user. Thus, for a visually more appealing website following the 2019 web design trend of 2D illustrations is very beneficial. Keep your web design colorful white to give it a clean and edgy look. This makes the information on the website more legible and understandable for the end user, enhancing the user experience by many folds. 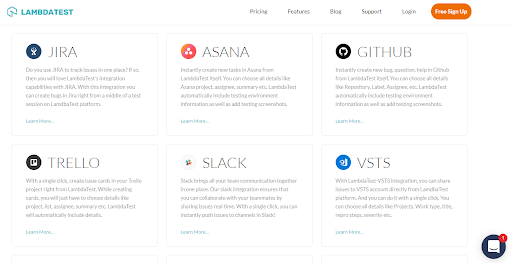 Colorful white websites such as Asana, LambdaTest, Slack, and Intercom, helps the user to easily grasp the information and details on the website and retain it for a longer term in visual memory. This makes colorful white one of the top trends of web design in 2019. Gone are the days when separate mobile versions of websites were designed. With a Responsive design of your website, your end user can have a seamless experience of the website on different devices without any misalignments. This design helps a website to render the content in a flexible yet appropriate manner on the basis of the devices & OS on which it gets summoned. Moving ahead with time, a responsive design offers your tech-savvy end user with the flexibility to access the website on different devices with varied screen resolutions. Thus, responsive design is a must follow web design trend in 2019 if you are looking forward to providing a flexible and seamless user experience. 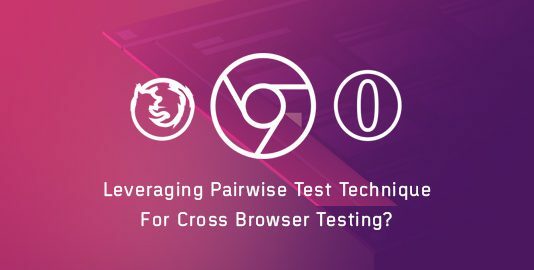 LambdaTest provides you a platform where you could test your RWD(Responsive Web Design) over 44 different devices in a single go! With these top 19 trends of web design, you can level up your website by enhancing the user experience and visual aesthetics of your website by multiple folds. As a result, it would be helpful in giving a boost to your business with a higher level of customer satisfaction and better brand image in the market. Let us know which web design you like the most in the comment section below. Also drop suggestions if you feel your favourite trend is missing.